97x54cm Size chart - check which size to choose. Aqua Maniac's Backgrounds are made from poly-resin, which is safe for all aquatic life. 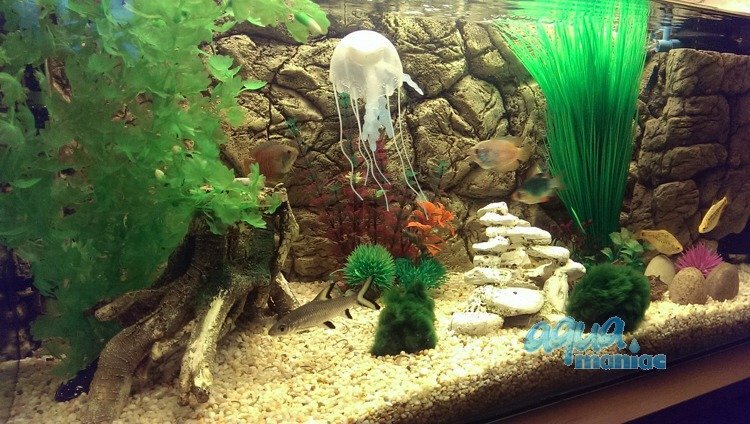 Our backgrounds sink, it's not a foam, so you don't have to use silicone to fix them inside your tank. The background is not flexible, you can't bend it, but you may trim it by using angled grinder, hacksaw, dremmel. 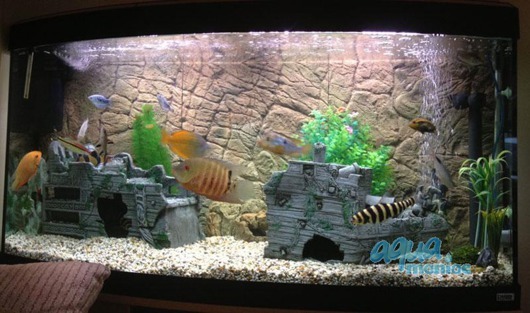 Installation is very easy, you only have to slide it inside your aquarium. 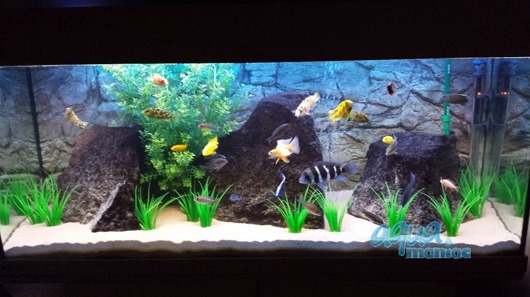 There is a foam fixed on the sides of background, which will fill the gap between glass and the background. 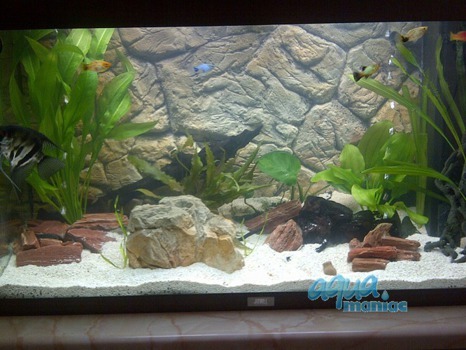 The foam is around 2cm width, so fish will not swim behind the background. 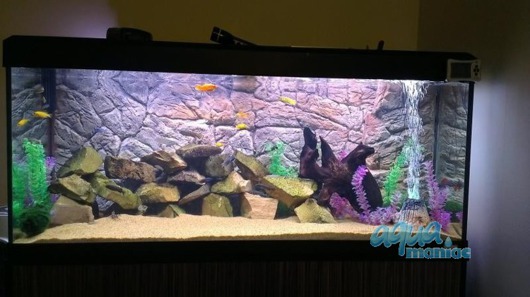 The rear is shaped like the front, it ranges up to 1 inches at its widest point this being 3d and not a flat background. 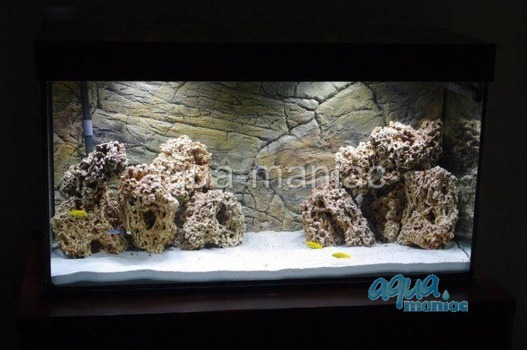 If you decide to install thin rock background in your tank, you won't be able to hide your filter pipes behind it. 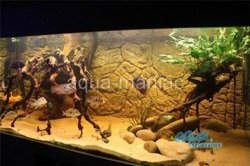 Thin rock background is suitable for reptiles and can be fixed inside vivariums, terrariums etc. How to measure your aquarium before ordering a 3D background? 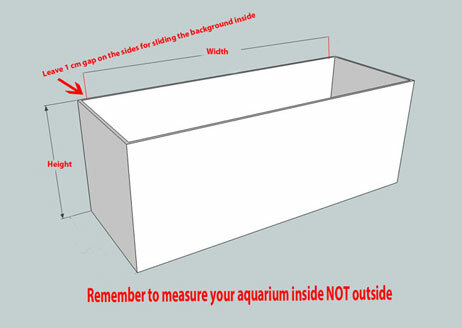 Measure your aquarium inside, not outside. 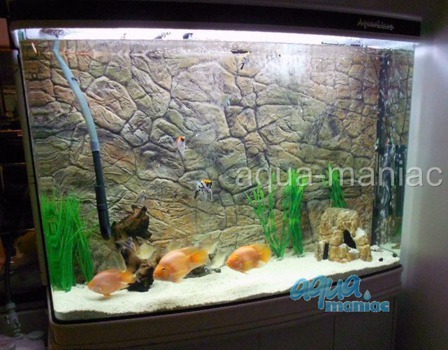 Get a measure tape and measure your tank inside from corner to corner, and from bottom up to the top edge of tank. 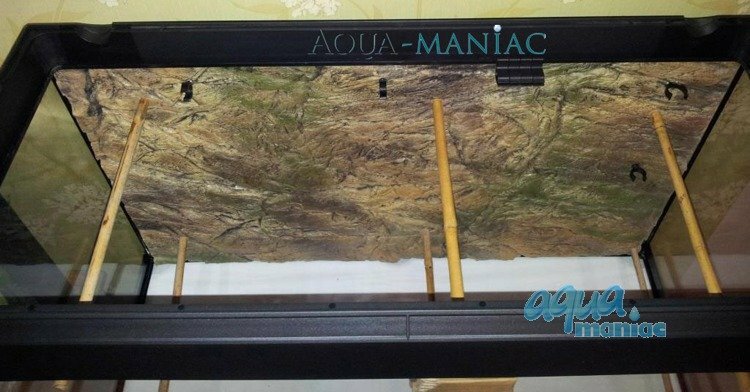 If you have a support brace across your aquarium measure from bottom up to the brace bar. The background has to fit under the brace. Please bear in mind that our backgrounds are not flexible, so you can't bend them. 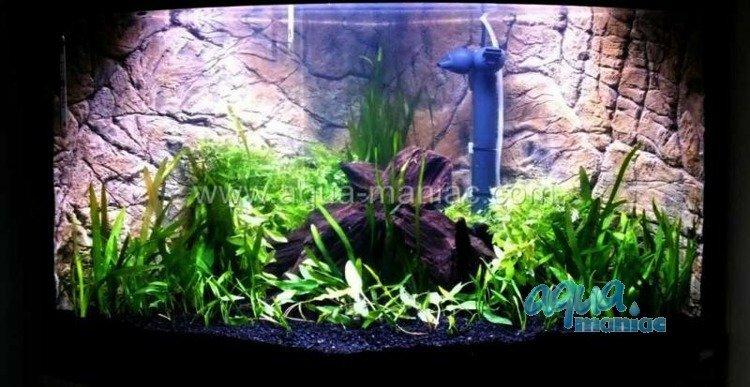 Leave 1 cm gap between the glass and the background, decrease background width by total of 2 cm and height by 2 cm, so you will have enough room to fit the background inside your tank. On the side edges of the background we fix a greyish foam which will fill the gap between the background and the glass.